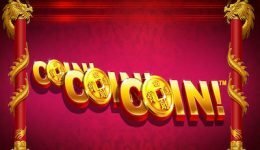 Whilst Paddy McGuinness was busy ousting The Queen Of Bingo and being installed as the new regal character at Jackpotjoy, a brand new slot game was also being added to the JPJ roster. 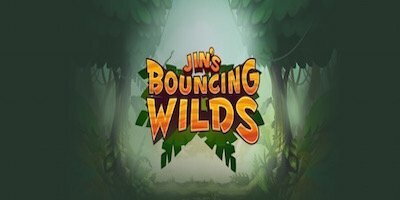 It’s called Jin’s Bouncing Wilds and is another inhouse game! It features a host of woodland creatures who are led by Jin who’s the game’s “wild” and a very bouncy fox – especially when appearing on a win line. Jin’s Bouncing Wilds is a 5 reel 25 payline slot. The game is set on a woodland backdrop and features five mushrooms at the foot of the reel – more on them later. The reel symbols are made of flowers and woodland creatures including Jin the Fox, a hedgehog, a tortoise, a beetle, a frog and a racoon. The graphics are very colourful and the minimal animation, such as the leaves of the tree moving and the creatures blinking, adds interest. Sound is minimal although there is an option to switch it off if required. Wagering on the game is set by adjusting the coin size button at the bottom left of the game. Wagering is from 1p through to £8 per line. 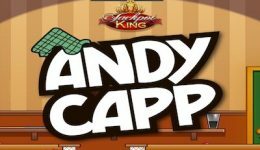 This means you can play from as little as 25p a spin up to a maximum of £200. There are two main features in Jin’s Bouncing Wilds – Raining Reels and Bouncing Wilds. When a win line appears on the reels, all the winning symbols are removed and replaced with new symbols. If a wild appears on a win line then the Bouncing Wild feature also comes in to play. Jin will bounce around the screen and occupy a new square. The Raining Reels and Bouncing Wilds continue until no more wins are recorded. If 4 or more wilds are involved in a win line then note that at least 3 will bounce and no more than 5 wilds can bounce on any one spin. Mind you, we doubt that they’ll be many instances where you will see multiple Jins bouncing around. The most we saw during our trial play was 2! 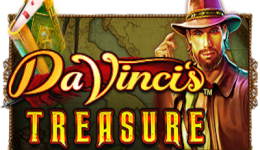 Gamesys have created another good looking game which is fun to play on mobile or desktop. The bouncing wild feature is good although the raining reels isn’t unique. Perhaps the best feature of the game are the mushrooms – if you click on them they play different notes – we wonder if anyone can make a tune out of them?